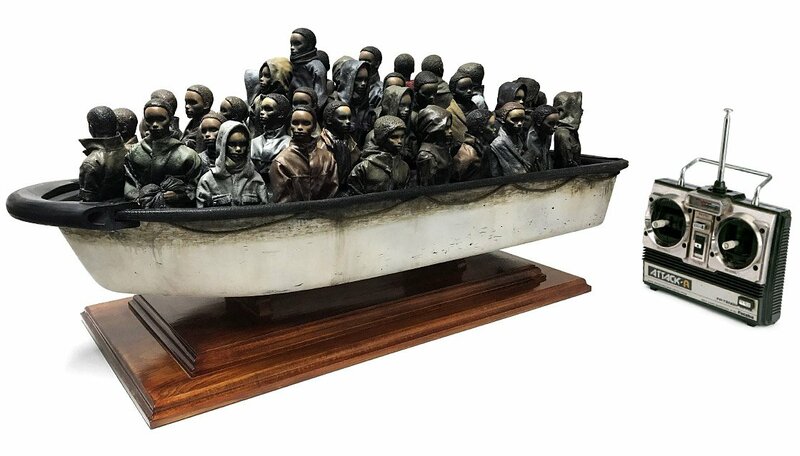 For just £2 you could own this remote-controlled boat sculpture that was once featured at Banksy's Dismaland. That is, if you guess its weight correctly. Banksy has donated the coin-op artwork to go into a raffle to benefit Choose Love, a store where you can buy gifts for refugees. An entry into the raffle is a £2 donation.